Company „D.D.D.-1” was established in 1997. and is licensed to combat domestic and storage pests, carriers of transmissible diseases and have epidemiological significance. The company is the largest in the territory of the Republic of Bulgaria and holds leading positions in the market segment for DDD services. Owns 100% of the capital of Disinfectants stations: Veliko Tarnovo, Dobrich, Montana, Vidin, Lovech, Gabrovo, Ruse and has offices in cities: Sofia, Kyustendil, Dupnitsa, Pleven, Svishtov, Republic of, Nikopol, Plovdiv, Velingrad , Pyrvomaj, Lom, Varshetz, Berkovitza, Silistra, Stara Zagora, Gorna Oryahovitsa, Trojan, Oriahovo, Sandanski region and covers 100% of the territory of the Republic of Bulgaria. „D.D.D. 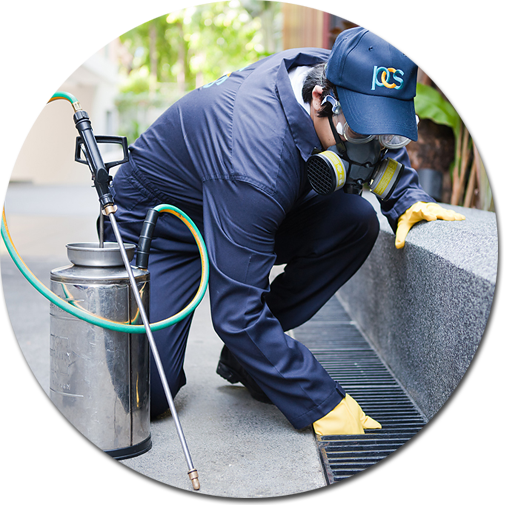 – 1” is one of the leading companies in the field of Integrated Pest Control. Has extensive experience in disinsectisation against ticks, mosquitoes, white American butterfly chestnut moth and is constantly working to reduce the number of rodents in sewer networks. DDD-1 perform implementation of systems for pest control by minimizing the use of a biocide and audit on objects subject to disinfection, disinfection and deratisation. DDD-1 handles private homes and apartments under contract. During the summer season the company perform work on the Black Sea children's camps, holiday homes and beaches with a guarantee for the season. The company is equipped with modern equipment and specialized vehicles. Has generators for cold and warm mist / ULV / for external treatments, hand generators for warm spray of small size and high performance specifically designed for indoor use (warehouses, silos, basements, sheds, etc..) As well as manual and dorsal sprayers of leading brands. The biocides used by "D.D.D.-1" Ltd. have permits from the Ministry of Health of the Republic of Bulgaria and meet the EU standards, ensuring the safety of people and the environment. DDD-1 Ltd provides consulting services, such as preparing, implementing and auditing systems for hazard analysis and critical control points (HACCP), good manufacturing practices and food trade (GMP - DTP) systems for managing food safety. HACCP is a method by which companies protect the quality of their food products. It consists of two main components: risk analysis (HA = Hazard analysis) and identifying those points in the production process where hazards are controlled (CCP = Critical Control Points). This covers the entire food chain foods - from the supply (or production) until the delivery to the consumer. Put simply, this Directive relates to all measures to ensure the safety and usefulness of food products, covering all stages from ingredients production through preparation, processing, manufacturing, packaging, storing, transportation, distribution, sale and delivery to the client where it can to contamination, contamination or spoilage of food. Чл. 17 (1) Производителите и търговците на храни, включително лицата, които осъществяват първично производство и свързани с него дейности, са длъжни да спазват хигиенните изисквания и да прилагат добри практики на всички етапи на производството, преработката и дистрибуцията на храните. Чл. 18 (1) Производителите и търговците на храни внедряват, прилагат и поддържат система за управление на безопасността на храните или система за анализ на опасностите и критични контролни точки, а когато цялостното внедряване на система е неприложимо — процедури в съответствие с принципите на системата за анализ на опасностите и критични контролни точки. (2) Производителите и търговците извършват преглед на системата по ал. 1 е я актуализират в случаите на извършени промени в продукта, процеса като цяло или в който и да е негов етап. Чл. 43 (1) Който произвежда и продава храни в нарушение на чл. 17, ал. 1 и чл. 18, ал. 1 от този закон, ако не подлежи на по-тежко наказание, са наказва с глоба от 2000 до 3000 лв., а при повторно извършване на същото нарушение — с глоба от 3000 до 5000 лв. (2) За нарушение по ал. 1, извършено от юридическо лице или едноличен търговец, се налага имуществена санкция в размер от 3000 до 5000 лв., а при повторно нарушение — от 5000 до 7000 лв. § 90. Всички обекти за производство и търговия с храни внедряват системата или процедурите по чл. 18, ал. 1 и ги прилагат. The Inspection body at DDD-1 perform control over the physical and chemical factors of working and living environments, electrical devices and equipment to 1000V, air conditioning and ventilation systems. Since October 2011 we added to our services control of electromagnetic fields and optical polychromatic radiation, striving to provide quality and complete coverage of the work field. 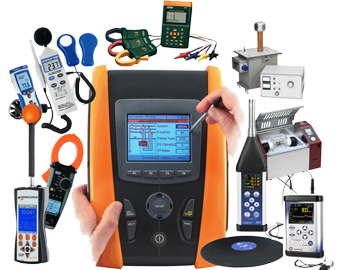 The Inspection body at DDD-1 Ltd have experts and equipment in many of the company's offices in the country. They are located in the cities - Veliko Tarnovo, Gabrovo, Pleven, Ruse, Vidin, Montana, Lovech, Dobrich, Burgas and Kyustendil. The Inspection body at DDD-1 is able to meet customer demands for accuracy, reliability, speed and quality of service thanks to our experienced and qualified personnel and technical means to measure with high accuracy, which are under constant control and are constantly calibrated according to the adopted programs. - Impedance of "phase - protective conductor"
- Acquiring of new sites as required for permitting the use of constructions in Bulgaria. The Inspection bodyoffers duty teams to meet the need for timely execution of orders. - DDD-1 Ltd. has offices in the towns of Veliko Tarnovo, Dobrich, Montana, Dupnitsa, Kyustendil, Vidin, Svishtov, Silistra, Rousse, Plovdiv, Lovech, Republic, Upper Oriahovitsa, Pleven, Velingrad, Republic, Troyan, Oriahovo, Lom, Varshetz, Berkovitza, Pyrvomaj, Burgas, Varna, Sandanski. - DDD-1 is the largest representative of the market for Disinfecting, disinsection and deratisation in tourism, food industry, textile industry, schools, children and health care, administrative and residential buildings, production and storage facilities, silos with documentation according to the EU requirements and standards of good manufacturing practice in Bulgaria. DDD -1 is one of the leading companies in the field of Integrated Pest Control. We have extensive experience in disinsectisation against ticks, mosquitoes, white American butterfly chestnut moth and we are constantly working to reduce the number of rodents in the sewer networks. The company is equipped with modern equipment and specialized vehicles. Has generators for cold and warm mist / ULV / for external treatments, hand generators for warm spray of small size and high performance specifically designed for indoor use (warehouses, silos, basements, sheds, etc..) As well as manual and dorsal sprayers of leading brands. - A team of specialists (certified and lead auditors to IRCA), prepares and implements pre-certification programs, that assist the customers to select the appropriate systems that best meet their needs, provide information for all certification authorities, operating on the Bulgarian market.